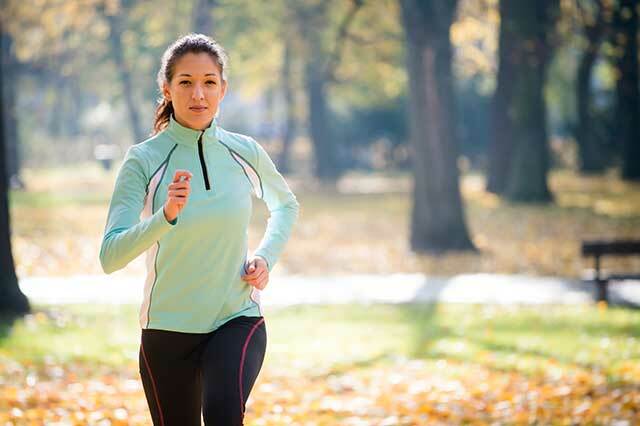 Researchers found that exercise improved post-intervention metabolic syndrome z-score in survivors of breast cancer. (HealthDay News) — Supervised aerobic and resistance exercise may improve metabolic syndrome, sarcopenic obesity, and serum biomarkers in overweight and obese survivors of breast cancer, according to a study published online Jan. 22 in the Journal of Clinical Oncology. Christina M. Dieli-Conwright, Ph.D., M.P.H., from the University of Southern California in Los Angeles, and colleagues randomly assigned 100 breast cancer survivors who were ethnically diverse, sedentary, and overweight or obese to either exercise (supervised moderate-to-vigorous aerobic and resistance exercise three times per week for 16 weeks) or usual care. The researchers found that the post-intervention metabolic syndrome z-score was significantly improved with exercise compared to usual care (between-group difference, −4.4). In addition, after the intervention, sarcopenic obesity and circulating biomarkers, including insulin-like growth factor-1, leptin, and adiponectin, were significantly improved versus usual care. In the exercise group, all metabolic syndrome variables remained significantly improved compared with baseline at three-month follow-up. “Our findings suggest a targeted exercise prescription for improving metabolic syndrome in survivors of breast cancer and support the incorporation of supervised clinical exercise programs into breast cancer treatment and survivorship care plans,” the authors write. Several authors disclosed financial ties to pharmaceutical and diagnostics companies.